Luxurious Oceanfront Condo Spectacular View, Private Beach Access, Free Day! Very dated but the rooms were clean. Very nice lady at check in. Where to find Brookings hotels near an airport? 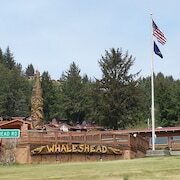 Where can I find hotels in Brookings that are near tourist attractions? If you are hoping to stay near the middle of Brookings, there are a small number of places. Within 0.1 kilometres (0.06 miles) of the heart of town, you can find 8 Expedia-listed accommodation options. If you would prefer to sleep within half a mile of the downtown area in Brookings, check out the latest deals at the ever-popular Wild Rivers Motor Lodge. 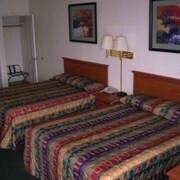 The Wild Rivers Motor Lodge is an economical hotel. It's positioned 0.2 kilometres (0.2 miles) from the heart of Brookings. 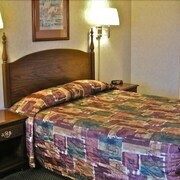 Another economical hotel in this area is the Brookings Inn Resort. The Mt. Emily Ranch Bed and Breakfast is located 8 kilometres (5 miles) from the heart of Brookings. Alternatively, the Best Western Plus Beachfront Inn is situated 2 kilometres (1 mile) away. Two other options in this area include the Westward Inn and the Blue Coast Inn and Suites. 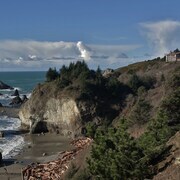 The closest hotels in South Oregon Coast are Wedderburn and Gold Beach. Wedderburn is 45 kilometres (26 miles) to the north of Brookings, while Gold Beach is 45 kilometres (27 miles) to the north. 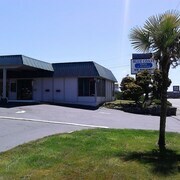 Wedderburn accommodations include the Gold Beach Resort and Jot's Resort. 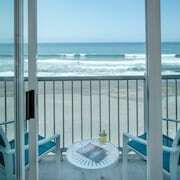 While apartments include the Pacific Reef Resort and Wild Chinook Inn. Taking a flight in and out of Brookings? The handiest airport is Arcata - Eureka Airport, 120 kilometres (75 miles) from the center of Brookings. 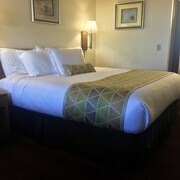 Book a room nearby at the Holiday Inn Express Arcata / Eureka - Airport Area. What are the most popular Brookings hotels? Cottage de Amor - Your Magical Coastal Vacation! Rain or Shine, Enjoy the Ocean in the Hot Tub! New Video! 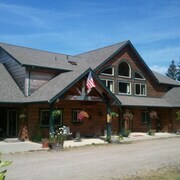 The Reel Riverside Retreat~ Close to Town/gorgeous River View With a hot Tub! Are there hotels in other cities near Brookings? What other types of accommodations are available in Brookings? Explore Brookings with Expedia.ca’s Travel Guides to find the best flights, cars, holiday packages and more!